Christmas is approaching ever so rapidly and hopefully it is not all about the giving part. Although I must admit I love giving joy in presenting someone with an original present just picked for a particular person. This is my kind of Christmas! Particular people call for particular presents and if your task is to find a geeky gift, search no more, for I have gathered presents for the geeks in your life. 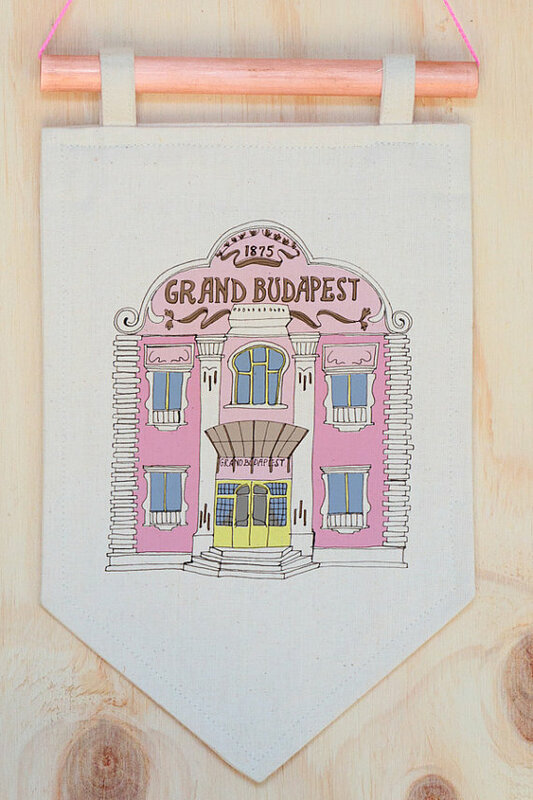 The Grand Budapest Hotel flag banner from Bunnyandmoon for Wes Anderson Fans. Check out her store for other Wes Anderson themed Banners. 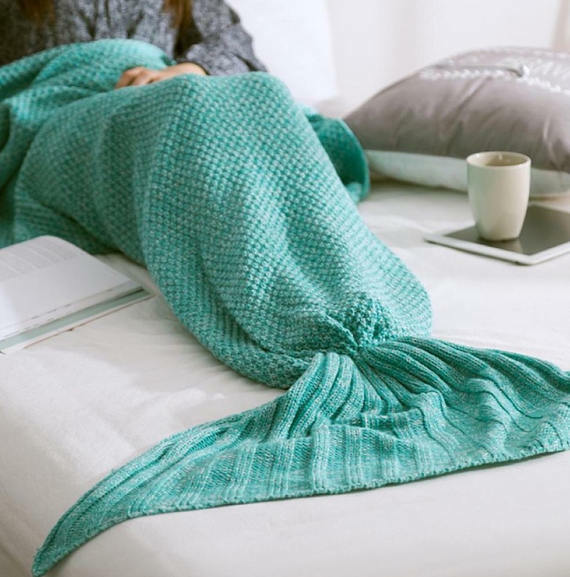 Relaxing à la Little Mermaid with this blanket from FancyWorksBoutique. These sprinkles are called Comic Book. Do I need say more? Seen in the Sweetapolita Shop which is absolutely dreamy for bakers. ThePinkRoom sent me back to my childhood, when I longed to have a Care Bear! chicklitdesigns offers geeky and book lovers themed Designer Book Purses, Clutches, iPad and Phone cases. The Sherlock Holmes one is one of my favorites. Here you will find the cookie cutters you have been looking for. BakeandCut specializes in Comic Book and Movie themed ones. These Rick and Morty cutters are definitely on my wishlist. Are you also weary of the typical vanilla scented candle? OldGlowCandles makes candles that are inspired by great movies, books or TV shows - fictional places that they love. My favorite : Kodama Spirits - Princess Mononoke Inspired Scented Soy Candle. This particular Snow White Decal graces my Mac Book since the first day. It never fails to raise a smile! Available DemonDecal. For the little Super Hero in your life! Super Hero Costume in Pink from lovelane! Click here to see last years picks! PS: All Links in this Post are Affiliate Links.